A group that researches big cats in the Bay Area is setting up bait stations around the region’s foothills in an effort to catch mountain lions roaming near neighborhoods. The Bay Area Puma Project captures the animals -- including one recently taken into custody at a Mountain View apartment complex -- to release them safely in the wild. Wednesday, the group spent the day setting up capture stations in the foothills of San Jose and in the East Bay. Tim Weber says he's all for the traps. 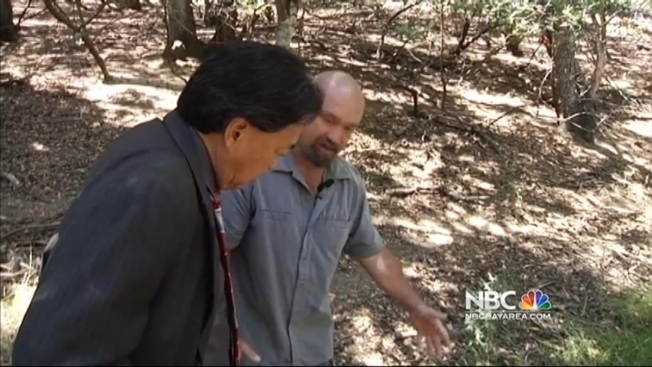 On Wednesday, the San Mateo man showed NBC Bay Area the wooded area behind his home on Fernwood Street, where he says he encountered a 100-pound mountain lion on Tuesday and again Wednesday morning. Weber said the mountain lion was going after deer. "I was shocked,” he said. “I hunt, but I'd never seen a mountain lion, and I've grown up in this area and I'd never seen a mountain lion that close or in this area." After a nearly five-hour standoff with a mountain lion in Mountain View on Tuesday night, wardens ended up trapping and tranquilizing the big cat inside the parking garage of a typically quiet Silicon Valley apartment complex. Marianne Favro reports. A wildlife officer later determined that the juvenile deer had been killed and eaten by the lion. "If you have deer around, you're most likely going to have puma in the area,” said David Tharp, a biologist working on the project. Puma is the genus that contains cougars, also commonly known as mountain lions. The California Department of Fish and Wildlife agrees with Tharp, saying it wants people to be cautious, but emphasizing that mountain lions generally try to avoid people. 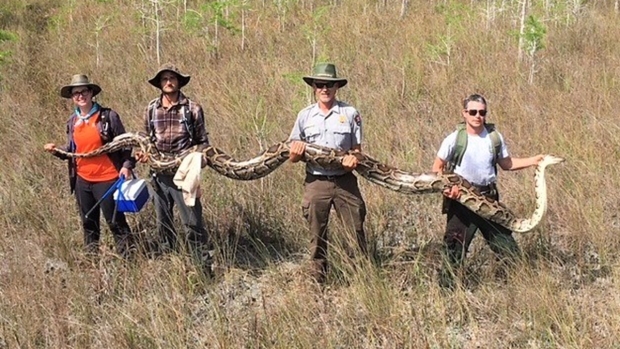 "We're not going to hunt, trap or certainly destroy this animal,” Fish and Wildlife spokesperson Andrew Hughan said. “This animal did what lions do, which is hunt and kill deer." Officials say the San Mateo mountain lion could still be in the vicinity. "When I came down here (Wednesday morning), a whole herd of deer ran away, including the fawn, and the mountain lion went up that way,” Weber said. “[The lion] has not gone away." 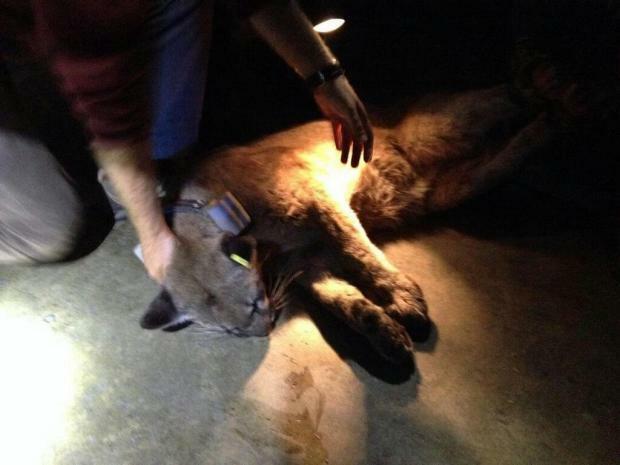 That type of situation is why the Bay Area Puma Project is out setting its capture cages. Tharp said Bay Area residents can expect to see more mountain lions as a result of California's ongoing drought. "Animals are going now into areas that are going to have water or vegetation they can eat," he said. Representatives of all the agencies NBC Bay Area talked to advise residents in prone areas to keep pets and small children inside during dawn and dusk hours. "Look large," he said. "Throw your hands up in the air. Throw a rock at it. Yell at it. Ninety-nine times out of a hundred it's gonna run away."